Indiscreet! A shockingly adult romance, that is also light and funny and a great escapist fantasy. And with a great basic plot idea that is easy to exploit for India. And a cast that is easy to recast, we just need a super elegant beautiful woman for Ingrid Bergman, and a charming suave mature man for Cary Grant. Ingrid Bergman is a mature successful stage actress in London. She is introduced to Cary Grant, newly arrived American diplomat and businessman, by her brother-in-law. They like each other right away and flirt and talk, and then at the end of the night, Cary tells her that he is married and can’t possible get a divorce, although he and his wife haven’t lived together for years. Ingrid considers things, and invites him to go to the ballet with him the next week. Soon, they are passionately in love, spending all their time together, he is buying her lavish presents, and so on. But then her sister tells her… Cary isn’t really married!!!! At the same time, Cary is confronted by her brother-in-law and explains himself. He never wants to get married, but if you say that to women, they think you are just being coy. Instead, he tells them he is already married, so they won’t get their hopes up. And he tells them this BEFORE they have given him their “favors”, that’s what makes it honorable. Ingrid is furious and sets a trap for him. She knows he is planning to surprise her the next weekend, so she arranges a date with another man in her apartment that night, expecting Cary to walk in during the date and be consumed with jealousy and humiliation. It all goes wrong, her date cancels and she has to have her elderly houseman do it instead, plus Cary was planning to propose that night and tell her the truth, after all the truth is out and they explain things to each other, Cary proposes again. Isn’t this a fun adult farce? What really makes the original is the look of it. Ingrid has an elegant small apartment, gorgeous lush evening gowns, and just generally the best life. It’s kind of hard to believe that her happy ending is marrying Cary Grant, wouldn’t it be better to stay in her lovely apartment with her lovely life? Plus the tone, no one is really emotional about any of this, they are just light and charming and funny. Oh, and the film makes it very VERY clear that Cary Grant and Ingrid Bergman are sleeping together a whole lot. Which is refreshing in 1950s Hollywood film. And it would be refreshing in present day Indian film, wouldn’t it???? Our heroine is a mature film actress. She’s had some semi-public relationships but they all fell apart, she is tired of this hangers on and less interesting men going after her. Her sister is married to a bureaucrat, and fusses at our heroine about how she should finally get married. And to that end, she surprises her in her gorgeous little apartment while she is putting on cold cream and getting ready for bed and introduces her to the architect who is working with her husband on building a new school or something. He is charming and handsome and successful, he is only doing this government job out of charity, and he is immediately taken with the heroine. But, he tells her at the end of the night, he is married. And his wife will never give him a divorce, even though they haven’t lived together for years. Ingrid Bergman level beautiful, right? Our heroine has an dream about him that night (song!) and it convinces her to call him up and invite him out with her. He warns her that they can’t be seen together in public because of his wife and the publicity, she is fine with that, they have an intimate dinner and talk and talk, then go to an avant garde play, and walk home and talk some more, and she invites him to spend the night. Happy in love song! They sneak around the city, going everywhere together, and being happy and it is all perfect. And he seems to really love her, he gives her sensitive and sweet gifts, like framing a page from the script for her first film. But then her sister tells her that he isn’t really married and she is shocked. At the same time, her brother-in-law talks to him and he explains that after 20 years he knows for sure that he is not going to get married, to go through all of that mess, but he doesn’t want to lead women on. So he tells them he is already married and can’t get a divorce. Now, my new twist! They are planning the wedding. And the heroine is beginning to not like all these new complications in her life. Her producers keep taking roles away from her because they assume she is retiring to have babies as soon as she is married. Her sister is driving her crazy with wedding planning. And she and the hero never seem to have any time alone any more, now that they have gone public with the relationship. It all gets worse and worse until she blows up at the hero and breaks the engagement when he shows her the new apartment he bought for them, complete with play yard for the kids. It’s all too much for her, she can’t handle it, she can’t give up her whole life. Post-break-up, she does her job and comes home, and is miserable. Her sister doesn’t understand her, but still tries to comfort her. Finally her brother-in-law takes a hand and goes to talk to the hero to see if they can figure this out. Heroine: Classy, beautiful, older actress….Tabu? 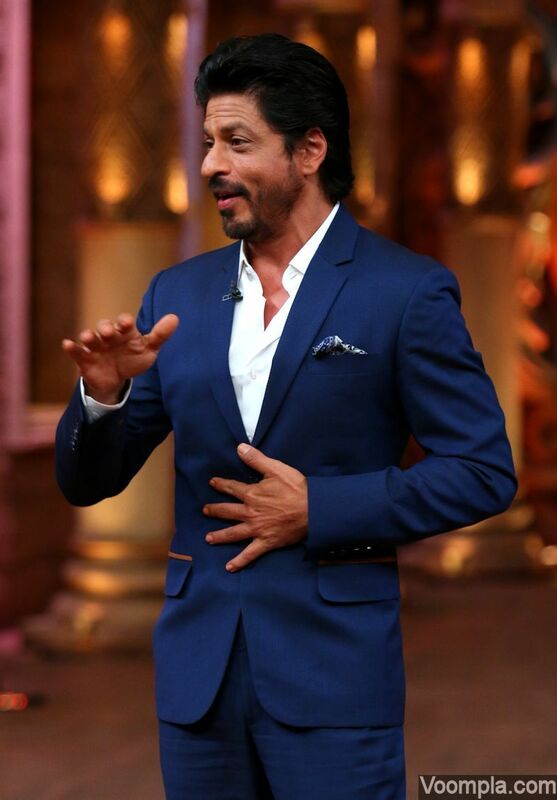 Hero: Classy charming older man…Shahrukh? Sister: Bossy and interfering and pushy and funny….Ratna Pathak? Brother-in-law: Slow, laidback, and kind of funny in his extreme laidbackness….Naseeruddin? Also, are we happy with my new second half? Or is there a better way to go, once the first misunderstanding is resolved? This entry was posted in Uncategorized and tagged Cary Grant, Fanfic, Shahrukh Khan, Silly Sunday, Tabu by mredlich21. Bookmark the permalink. Hmmmm…Tabu – ShahRukh is okay… the idea of pretending to be married in the first part, okay, she making him believe that she has another lover????? He wanting to propose to her???? Her sister knowing that he isn’t married???? Wouldn’t it be strange for a family-oriented Indian film that she makes out with a married man openly? I think the twist (that he isn’t married) should happen in another way. As he is an architekt working for a municipal project, he discovers that there is jerry-building (initiated by politics to perculate) but before he can act on his discovery he becomes the victim of an accident on the construction place (it seems to be an attempt on his life) and has to be hospitalized. It is severe enough that Tabu urges him to inform his wife. Not being satisfied with his evasivness on this behalf, she insists and he finally admits not being married. She wants to know the reason rightly assuming that he may have played the married man not the first time. He agrees. “So, it was just to have fun with me by making fun of me?” . He tries to explain that he never felt like wanting to marry but if she wants he would do it, he would love her that much. Tabu leaves him and doesn’t come back anymore. When ShahRukh can leave the hospital, he learns that Tabu is on an outdoor shoot. He postpones to denounce the jerry-building and joins her (Goa? Hill station?) to placate her but she refuses to meet him. (There will be a kind of ‘stalking’ plot which gives room to amusing incidents.) Eventuelly he gets to talk to her and she agrees to come back to him if he really wants to get married with her (because for her, it would be a change in her carrier). He convinces himself and her that indeed he wants to marry her and returns to (whatever municipality) to attend to work. Unfortunately, when he comes back, police is waiting for him accusing him of jerry-building in order to perculate. During a house search incriminating material (planted on him) is found. He is in prison when Tabu comes back from the shooting. With the help of her cousin (advocat), she gets him out (bail) and because his appartement is still a big mess she invites him into her appartment where they have a long talk…honest talk…about love and marriage (he admits not feeling to be husband ‘material’ but would try) and what to do with the pending conviction. The next day (one can guess that they slept together and are in love) she brings him to her advocat cousin and leaves for work. Advocat and ShahRukh try to figure out what to do and how to prove his innocence and finding the culprit (we won’t know their plan yet). Municipal building…Tabu enters and asks for the ‘leader of the pack’ who is responsible for the new communal hospital (don’t know the terms of the Indian municipality), she would like to make a big donation when they would hire one of her relatives (a cousin, architect) as the new architect. They agree already counting the money they would be able to put aside. Big surprise, the cousin-architect is a woman. The pack first hesitates but then thinks that with a woman it will be easy stolen money. ShahRukh agrees to stay in Tabu’s appartement (to be safe) which nobody gets to know except the advocat-brother (who tells the police that ShahRukh lives in his house) and the architect-cousin who regularely comes to report and also brings copies of bills, construction plans and photos she made. As she is an undercover cop (we get to know ), she needs his input to keep the front of an architect. Comes the day of the pretrial where ShahRukh not only pleads not-guilty but his advocat also accuses the pack of percolating and initiating jerry-building. As they have gathered enough evidence and the now not-anymore-undercover cop is witness, the outcome of the pretrial is clear. The pack gets accused and put away and ShahRukh takes over his work again. So, now back to our love birds. They have a delicious dinner in a restaurant where ShahRukh indeed proposes to Tabu but with the words “Tabu, would you not marry me but accept my love in every way?” and she smilingly agrees. One gets to know that the 2 small appartements in the house are still occupied – by Tabu’s housekeepers – but that Tabu already had found two other flats nearby for them so that ShahRukh would have his own place in the house and they still could live together. Hmm. I think I like it, except I am worried about losing the light farcical touch to the story. Although I get your point that it would be strange for her sister to know and all of that. Maybe instead I use that to increase the farce? The sister and brother-in-law find out, but they are under a vow not to say anything directly (maybe that’s where the bribery comes in, the brother-in-law is helping to arrange a sting operation, the hero is a civilian volunteer and be part of it, it’s all super secret so he can’t reveal the background information he learned on the hero. His wife reads the papers on his desk, he puts her under a vow to him not to say anything either). But the sister and brother in law both start doing all kinds of tricks to try to force the hero to tell the truth, or to help Tabu figure it out herself. It doesn’t work, Tabu doesn’t learn the truth until the sting is completed, and then she is so angry at her sister and brother-in-law for not telling her the truth that she pretends she knew all along, just to make them frustrated. And she pretends the same to the hero, that she was just playing with him. He is all confused, because he was ready to propose, but now he thinks she doesn’t want a real commitment. She goes out of town, and he gets into an accident on the construction site while she is gone. Her sister (who knows her very well) calls her to come and pretends that he is really dying in order to force her to reveal her real feelings. She shows up at the hospital and rushes in and confesses her true feelings, only for the hero to reveal he was barely injured, he was just taking a nap. The pretending from her side is a good plot device. Like it…but I think, even for a farce, I wouldn’t use severe injuries as a tric. If there is criminal trickery in the movie why not make her do one, too (pretending to have done one, which the audience wouldn’t get to know)…she is an actress, she has connections to the filmindustry…she could well invent a plot with police and threat to go to jail for a loooong time. She doesn’t make her sister and brother-in-law her complices so that they are genuinely desperate to influence ShahRukh to help her by giving her a false alibi (which he does)…and then he is put in jail (a filmset) because of having comitted perjury (which he had). He is rather desperate because he couldn’t help Tabu and is now also facing a loooong time in jail. In the night, Tabu comes with a warder, telling him that she could bribe latter to spend the night with him before being transported to a woman-prison. They have a lot of talking and he tells her that he had fallen in love with her so much that he had wanted to marry her wholeheartedly and she tells him that she only did the sting because she was so angry and hurt (still not revealing that it was a plot). They ask the warder if he could arrange everything for a marriage the next morning and he agrees and tells them to come with him to fill in the needed forms…and when he switches on the light of the office, one sees all the actors clapping and cheering. Looking at his mischieviously smiling bride, ShahRukh understands (and the audience, too). Now, what could be the two stings in the movie (one real, one fake)? The simplest for Tabu would be something minor like a traffic accident, but because she is such a big star the police blow it out of proportion and throw the book at her in order to get publicity for themselves. At least, that is what she tells Shahrukh and her family, that she was in a minor accident and now the police are making an example of her. Shahrukh gives her a false alibi, an is arrested. Hmmm…I like your idea of a comedy…it’s something ShahRukh didn’t do in a long time and I would bet that he would like to do either an action movie or a comedy right now. What do you think about her setting him up? I like your whole idea of her running a con on him using her film connections. It feels like fair play, if he tortured her for months with his little lie, she can torture him for a day with a big lie. Would you like to explore this plot more, I mean to extend it into a coherent plot for a movie? Hmm, maybe! But I have so many plots bouncing in my head for ideas, it’s hard to make myself return to it.